Panama is rated as the number one place in the Americas for retirement by Modern Maturity magazine of the American Association of Retired Persons and the number one place in the world by International Living. Conde Nast Traveler selected Panama as one of the six best places for a second home in the Americas. Located in Central America, Panama is easy to get to. It is just 5 hours by plane from Canada with regular and charter flights out of Toronto. Panama is a short plane ride away from the USA as well. There are direct flights to and from Panama from 6 USA cities- Newark and Houston (Continental) Atlanta (Delta), Miami (American and Copa), Los Angeles (Copa), Dallas (American), and Orlando (Copa). The proximity also makes it easy for all those relatives who will want to come visit you in Panama. Panama is one of the safest countries in the world with the same rating for tourism safety as the United States. In Panama City, petty street crimes that hinder tourists in other countries are uncommon. Panama City, like every big city has some neighborhoods that are best to avoid, but in general you can go about Panama City day and night without worrying. This is true for most of the country with few exceptions. Panama has a wide variety of destinations, activities and world class attractions - and since it is such a small country, approximately 1.4 times the size of Nova Scotia- they are all in close proximity. You will never have a reason to be bored- Panama has it all - Exotic tropical rainforests, beautiful mountain refuges, Caribbean-style beaches, nature, a sophisticated capital city, fine dining, sport fishing, diving, rafting, golf, Indian culture, historical sites, not to mention that 8th wonder of the world and engineering marvel- The Panama Canal. And it's all in a country just 50 miles wide at its narrowest point. Panama is the best place for nature travel, ecotourism and eco-adventure today. Panama has the easiest-to-get-to exotic nature in the world. Its position as a narrow land bridge connecting two continents has endowed it with some of the worlds’ most pristine and bio-diverse rainforests in national parks covering 5 million acres. A key indicator of its bio-diversity: Panama has 944 recorded bird species, more than the U.S. and Canada combined. Furthermore, all that great nature is very accessible, with some of the best locations less than an hour from Panama City. There is a local saying that while in other countries you have 20 tourists looking at one bird, in Panama, you have one tourist looking at 20 birds. Panama is a nature lover’s paradise. You will discover beautiful and fascinating nature in the rainforests, mountains and the oceans- indeed it's hard to think of anywhere as nature-rich as Panama. Panama is world-class for adventure. International experts rave about river running in Panama, which includes rafting, kayaking and motorized river boats. There are rivers in Panama where you can ride 20 sets of rapids in one afternoon. Canyoning, trekking, rappelling and surfing offer similar world-class experiences for the hard and soft adventure seeker. If you or your friends and family are beach lovers, Panama is the place. Panama has a wide selection of beaches and island venues and activities with two coasts, 1,000 islands and Caribbean-style beaches. There’s a beach close by everywhere in Panama. Since it has a narrow isthmus, that means a beach is never much more than an hour away. With both a Pacific and a Caribbean coastline, Panama has hundreds of miles of beaches and, in addition, over one thousand islands. This also means great water sport activities- in fact, fishing, diving, surfing, snorkeling, sailing, sea kayaking is world-class. One place in Panama, Pinas Bay, holds 170 world fishing records. There are five world class diving areas: Coiba National Marine Park, the Pearl Islands, Bocas del Toro archipelago, Portobello and for historical diving the Panama Canal. Your family and friends will be impressed with your smart decision. Panama today reminds real estate professionals of the Florida market twenty years ago- it has many of the same attractions of Florida and property prices are a bargain. It is not uncommon for Canadians coming to Panama today to buy a condo in Panama City, a beach home and mountain home- all for less than the price of the home they just sold in Canada. Others consider their investment as part of their retirement plan, much like their RRSP’s back home in Canada. They are buying now even though their retirement is still several years off. Since the Panama property boom has just begun, their investment is sure to increase substantially as more and more people discover what a great place Panama is to live and invest. Panama has a democratically elected president and historically the most stable economy in Latin America. 6. Panama has the US dollar as its currency. Panama's currency is the US dollar. Your bank accounts and investments are also in US dollars. Panama is blessed by nature-unlike the rest of her Central American neighbors. Amazingly, it’s in a special climate area that has never experienced hurricanes or major earthquakes. Your Panama vacation will likely never be re-scheduled due to natural events. 8. Panama is the affordable exotic destination. Normally this kind of pristine natural beauty comes at a fancy price. Panama has just begun to promote itself as a tourism destination and so prices are still some of the best in the market. 9. 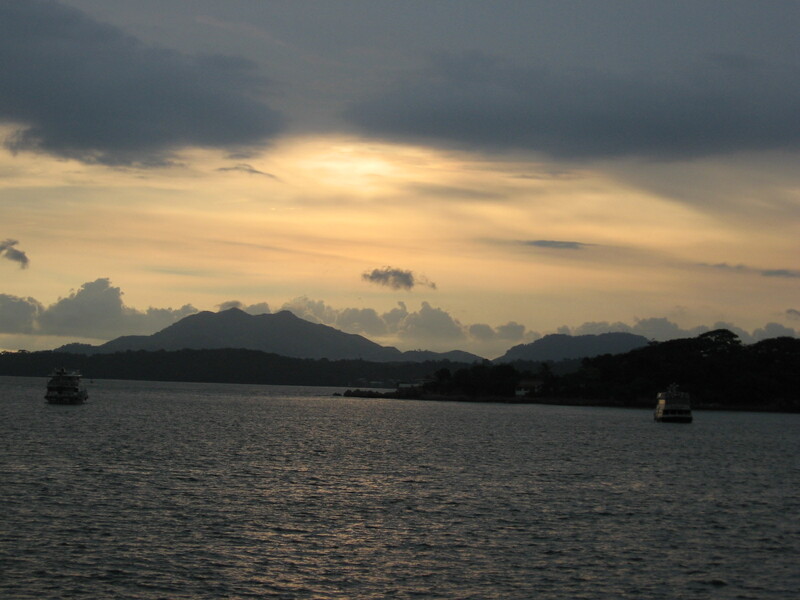 Panama has a carefree climate. In the mountains and highlands, including Cerro Azul, 35 minutes from the International Airport, weather is year round spring-like temperatures – no air-conditioning needed. In Panama City, the beaches and lowlands there’s a year-round warm climate. Some places like Panama City are hot and humid but that is easily remedied with air conditioning… and you go from an air-conditioned home, to an air-conditioned supermarket, to an air-conditioned mall etc. and never are bothered by it. Evenings and early morning temperatures are perfect for walking or running. 10. Panama has a modern American-style infrastructure. Panama has a first-world infrastructure starting with a safe cosmopolitan capital city with high speed internet, first rate hotels, fine dining and beautiful shopping malls. 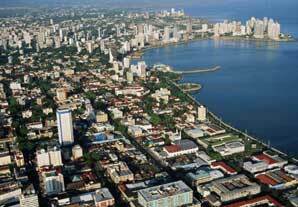 Panama also has the second largest Free Trade Zone in the world and a banking sector with over 150 banks. You can get high speed internet just about anywhere in Panama. Phone and other telecommunication services are also excellent - unusual for Latin America. Panama has one of the best road infrastructures in Latin America. 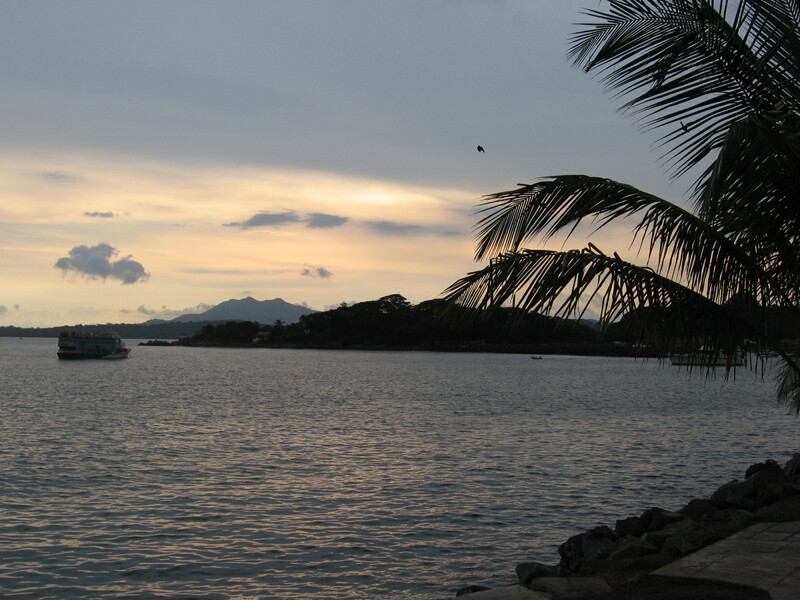 Travel within Panama is dependable and inexpensive. Taxis in Panama City are cheap and reliable. You can go just about anywhere for less than $5. The highway system and the feeder roads off the main highways are excellent. For $12 you can travel across the country on a luxury bus from Panama City to Chiriqui province in West Panama. If you are renting a car, the Inter-American highway that goes from the border of Costa Rica to Panama City is a four-lane highway most of the way. In Panama, you will never feel too far from home. It’s important to have the familiar services and comforts of home within easy reach. No other country in the world fits that bill better than Panama. Why? The ninety year American presence gave Panama a modern American-style Infrastructure, by-product of a Historical Relationship. Panama has a distinct, delightful Latin-Caribbean culture, but you will feel at home because American influences abound. Thousands of Canadians, Americans, and Europeans have made Panama their retirement home. 11. If you are an investor or businessman, you will find Panama's entrepreneurial class great to work with. People starting small companies or major investments find it a pleasure to do business in Panama because so many business people are American-educated or worked for Americans in the former Canal Zone. 12. 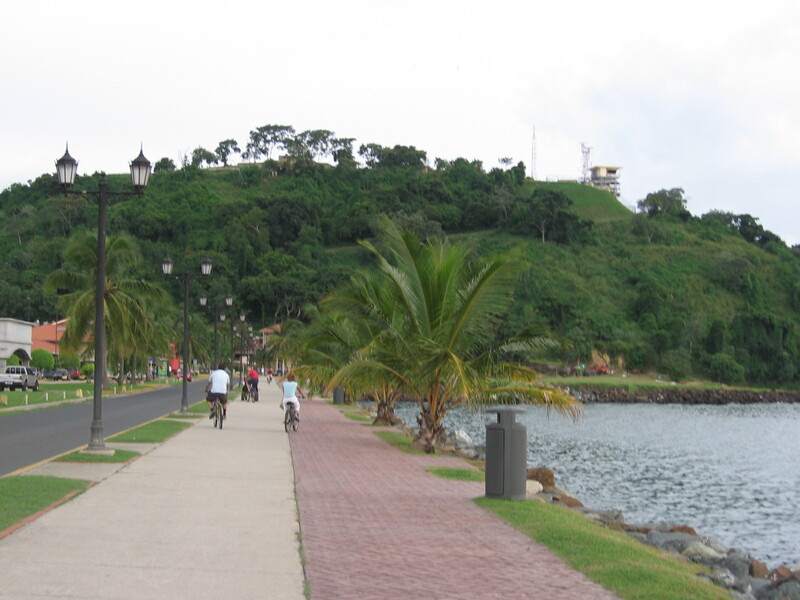 Panama has First Class Health Services and Medical care and a healthy environment. Medical care is on a par with Canada and US. Prices run about 50% less than the US. Many Panamanian doctors speak English and are American-trained. Sanitary conditions are excellent. You can even drink the tap water- a rarity in Latin America. An amazing abundance of fresh and inexpensive fruits and vegetables makes healthy living a pleasure. More than any place in Latin America, you can readily find English speaking trained doctors and dentists. There are hospitals with the latest in diagnostic testing and services. Prescription and over-the-counter medication is available at low prices. Full coverage health insurance policies are reasonably priced. 13. You will love the Panamanian people. Panama is tourist friendly. The Panamanian people are among the friendliest in the world. They are known for their peaceful, get-along and fun loving nature. Panamanians understand and appreciate Canadians and thousands have worked in or studied in the United States. Panama is home to immigrants the world over. English is spoken as a second language. 14. A Retiree Visa is easily and readily attainable. You can get a retiree visa in a short time for a reasonable price. The Panamanian government actually encourages retirees to retire here. 1. A clean police report from where you currently reside. 2. A health certificate from a Panamanian doctor. All foreigners (not just retirees) who purchase a home of more than $200,000 have the right to a residency visa. 15. Panama has the best retiree benefit program in the world. • You can bring in all your personal household goods free of taxes and any home furnishings purchased in Panama are tax free as well. • You can bring in a new car every two years for private use free of taxes. • You pay no property taxes on your home in Panama if that is your only residence. 16. 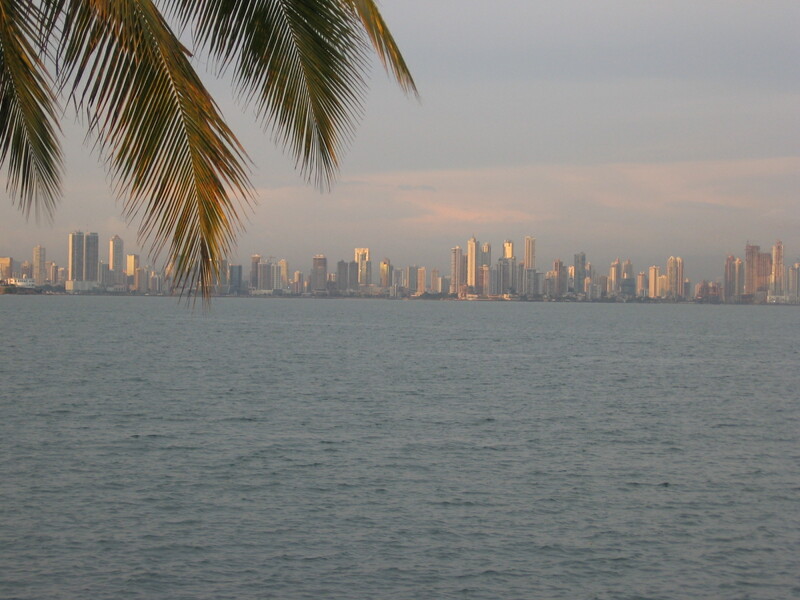 Foreigners can own property in Panama and have all the same legal rights as Panamanians. For shopping, everyone loves the fact there are 4 Price Costco’s- three in Panama City and one in David in West Panama. The fabulous El Rey supermarkets make grocery shopping a joy- spotless and well organized, they stock just about everything you could find in an American supermarket but with better prices! Shopping malls include Los Pueblos, a giant shopping center with 150 stores and low prices and Multicentro, a beautiful new enclosed mall in downtown Panama City. Large electronic, appliance, computer and furniture stores have familiar brands with prices the same or better than the USA. Another thing people love about Panama is the restaurant scene. As an international crossroads, Panama City has many fine, reasonably priced restaurants with a wide variety of cuisines. It’s fun just trying to decide where you are going to dine. Panama has a sophisticated banking sector comprised of over 150 different banks, including Citibank and Scotia Bank. If you are looking for offshore activities there are specialists who can provide personal or corporate services with strong financial privacy laws and no taxes on offshore profits. Families with children will find a number of excellent private schools to choose from. Most foreign capitals have just one American accredited school, but Panama has three: The International School of Panama, Balboa Academy and the Oxford International School. Private education is excellent; there are three accredited international school and dozens of fine bilingual schools. At the university level, there are a dozen universities, including three United States universities with branches in Panama City. FSU-Panama is the second oldest University in Panama. It has been operating in Panama since 1957 and offers majors in Computer Science, Environmental Studies, Information Studies, International Affairs, Interdisciplinary Program in Social Science and Latin American and Caribbean Studies. The University is located in the old U.S. Canal Zone and lies directly under the Bridge Of The Americas, the bridge that connects North America and South America. The University provides housing at a very reasonable price and tuition to the school is much less expensive than most universities in the States. Classes are in English and most students that spend their four years at the University learn Spanish. So you get Spanish as well as English and a U.S. recognized degree, while staying out of the cold and getting the chance to visit other countries in the region without having to travel so far. The cost of rent, homes, services, utilities, food etc. are all well below Canadian prices. For examples: a full time maid can be hired for approximately $200 a month and a gardener costs $10-15 dollars a day. No doubt about it - Panama is the most Retiree-Friendly country in the world!! !